Many Nevada residents may be familiar with the commonly held belief that probate is an thoroughly negative process, one that it is almost essential to avoid whenever possible. Often, individuals are told that the best way to avoid probate is to establish a trust with the help of an estate planning attorney. However, trusts are only one potential tool. Additionally, recent simplifications of federal estate tax have also greatly improved the probate process. The transfer of asset ownership to beneficiaries upon death is generally easiest when organized on an asset-by-asset basis, with each asset categorized as either probate or nonprobate. Often, assets subject to a contract dictating how the ownership transfers automatically upon death do not require probate, such as the proceeds from life insurance policies. Likewise, real estate titles owned jointly by two or more individuals with right of survivorship will transfer to the surviving co-owner without probate, upon the passing of one of the co-owners. Checking, savings and investment accounts can be “payable on death;” these are paid directly to beneficiaries after proof of death. Additionally, vehicles whose total value do not exceed $65,000 can be automatically transferred to the surviving spouse after he or she submits an affidavit affirming death. It’s also possible to secure a government issued certificate of title for a motor vehicle that literally states “transfer of death” on the printed document. If the hope is to avoid probate for an estate, there are various tools an attorney can utilize to help a client achieve this goal. For surviving beneficiaries, a Nevada estate planning attorney can also offer guidance throughout the estate administration process. 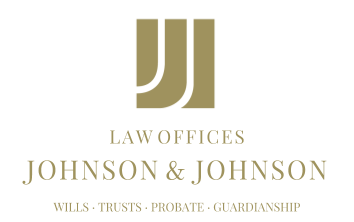 After the death of a family member or loved one, an attorney will help identify every asset owned by the deceased, and determine whether each is a probate or nonprobate asset.